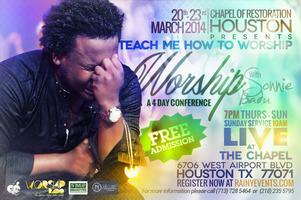 Teach me to worship conference by Sonnie Badu is here again in Houston. Save your date to attend. Sonnie Badu is a multiple award winning Gospel singer, songwriter, philanthropist, producer, TV presenter and author.